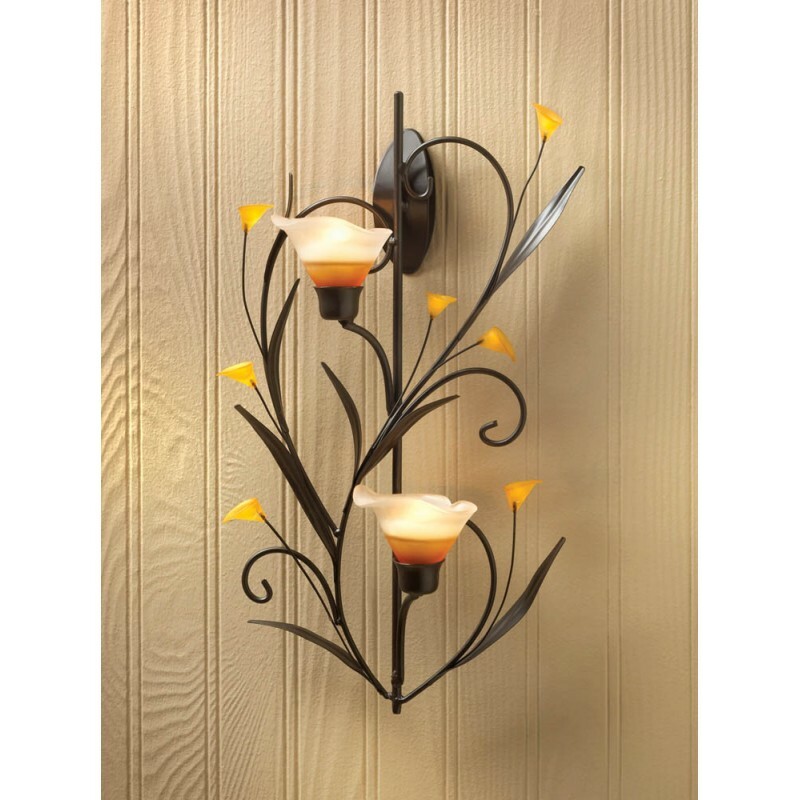 Make a dramatic statement of natural style with this beautiful candle holder wall sconce. Two glass lily cups hold the candles of your choice and are surrounded by detailed metal leaves and small glass blooms. 7 1/2" x 4 3/8" x 15" high; candle holders: 3 1/4" x 2 3/4" x 2 3/4" high. Iron, glass and acrylic. Candles not included.